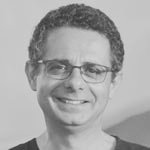 Vittorio Loreto, PhD, is Full Professor of Physics of Complex Systems at Sapienza University in Rome and Faculty of the Complexity Science Hub in Vienna. He is presently Director of the SONY Computer Science Lab in Paris where he heads the team on “Innovation, Creativity and Artificial Intelligence”. His scientific activity is mainly focused on the statistical physics of complex systems and its interdisciplinary applications. In the last few years he has been active in the fields of granular media, complexity and information theory, network theory, social dynamics. He coordinated several project at the EU level. He has recently coordinated the EU project EveryAware, devoted to enhancing environmental awareness in urban contexts using social information technologies. In this framework he has been developing new tools for web-gaming, social computation and learning. He recently coordinated the Templeton funded KREYON project on “Unfolding the dynamics of creativity, novelties and innovation”. Vittorio Loreto published over 180 refereed international publications and chaired several workshops and conferences. He was the vice-chairman of STATPHYS 23, the 23rd International Conference on Statistical Physics of the International Union for Pure and Applied Physics (IUPAP), held in Genova, Italy, from July 9 to 13, 2007. Full Professor of Physics of Complex Systems at Sapienza University of Rome and Faculty of the Complexity Science Hub in Vienna. He is presently Director of the SONY Computer Science Lab in Paris where he heads the team on "Innovation, Creativity and Artificial Intelligence". His scientific activity is focused on the statistical physics of complex systems and its interdisciplinary applications. He coordinated several project at the EU level and he recently coordinated the KREYON project devoted to unfolding the dynamics of innovation and creativity. Has published over 180 papers in internationally refereed journals and conference proceedings and chaired several workshops and conferences. Phys. Dept. – Sapienza Univ.